COLUMBIA, 5/1/16 (Op Ed) -- Starting today, Columbia's MKT Trail between Stadium Boulevard and Providence Rd. will close. Didn't know that? You are not alone. Though I understand city officials held a public hearing it was not well-publicized. Only 24 people attended. No notices about the impending closure are posted on the trail. No signs at the Providence nor Stadium exits announce it. I walked the trail from Stadium to Providence Friday. I spoke with fellow walkers and a runner who stopped for a break. NONE were aware the trail was closing. Two women were even pissed. "Why didn't we know about this?" they asked me. The trail closure -- presumably temporary -- will accommodate new sewer line construction for all those student apartments downtown, with more on the way. No wonder City Hall has done so little to announce and advertise this project. I only heard about it eavesdropping on a conversation about a horrific surprise. Wanting to see it for myself, I walked the MKT north of where it passes under Stadium Blvd. several weeks ago. I thought I was prepared for the worst. But what greeted me was deforestation to the point of devastation (photo, click for larger). Along the new sewer's path, every tree, every plant, every blade of grass had been excavated down to dirt. Colorful tape marked future trenches dug across the trail to lay sewer lines. Detours for the trail's thousands of annual users should be designated. But when I asked city officials by email where those detours would be, I received no response. City Hall is taking this "too little, too late" approach to Columbia's notoriously poor central city infrastructure to accommodate one species of power player on the local political and economic stage -- Apartmentus developersaurus. Tall as any Brontosaur (with Columbia’s latest 10-story addition) and with the bulldozing power of a Stegosaurus herd, Apartmentus developersaurus needs one thing from us long-suffering rate and taxpayers: toilets that flush, which they are sure to get whether we like it or not. Though the City Council ensured developers will pay some share to maintain the new sewer, we must pay to have it installed -- with hiked taxes, spiked utility rates, and higher fees. The T. Rex of Columbia’s political jungle, student apartment developers make the rest of us look small and insignificant. First Ward residents have been complaining of basement and sewer backups for decades, with little or no help from City Hall unless Staff can secure a Federal block grant. Fourth Ward residents have also complained, and in proportion to their political muscle, have received sewer improvements, but on a far smaller scale than the MKT sewer deforestation project (e.g. Maupin Rd. sewer do-over former Councilman Jerry Wade championed). In cases involving average folks, the sewer utility only acts when it receives complaints, petitions, and notes from angry Council members -- and then only sometimes. If the utility was pro-active, these sewer improvements would have been completed decades ago, with no need to deforest today. 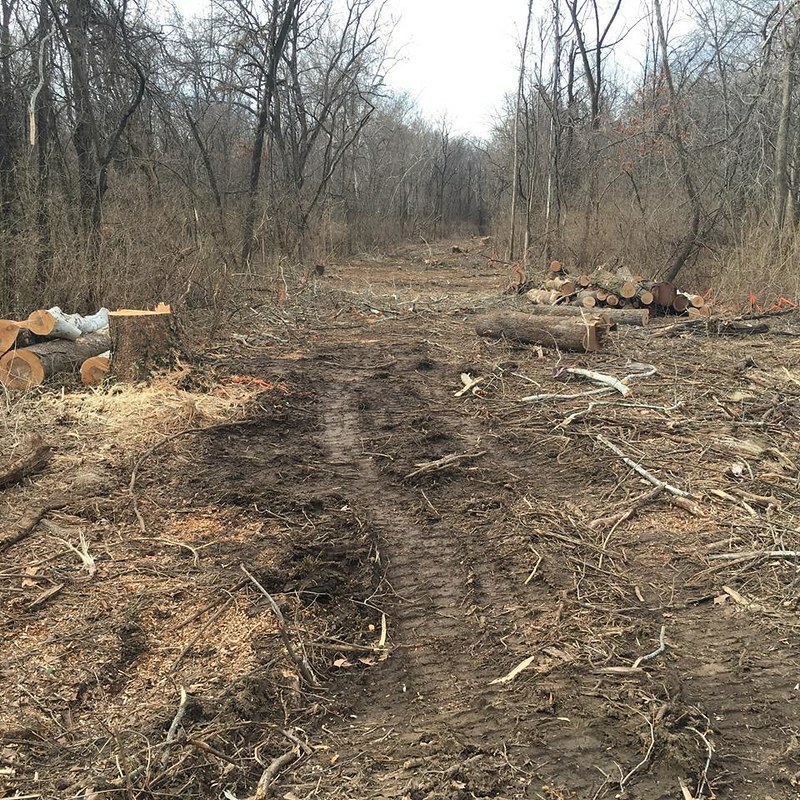 But the denuding has begun, and another of Columbia’s civic gems – the MKT Trail -- will be closed and bulldozed to accommodate a few who will benefit while many more suffer.